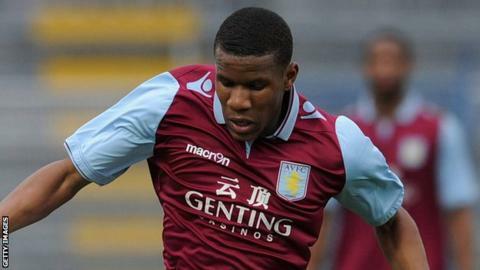 Aston Villa midfielder Riccardo Calder has moved to Dundee in the Scottish Premiership on loan until January. The left-sided 19-year-old has yet to make a competitive first-team appearance with the English Premier League club. But Dundee manager Paul Hartley told his club's official website: "He is highly rated and has great potential." Calder has been an unused substitute on the Villa bench and a regular in their under-21 side.